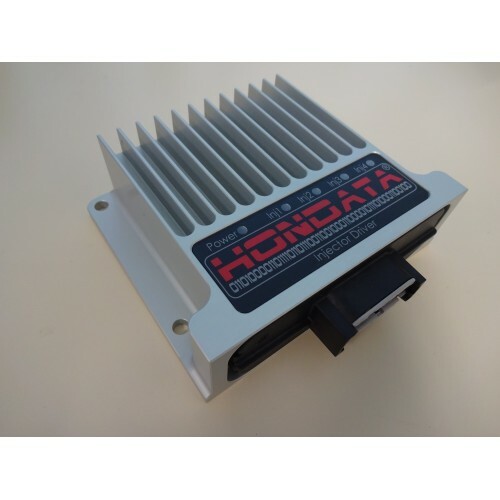 Four channel injector driver with activation input. 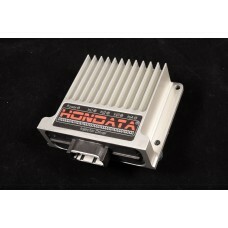 Drives both peak and hold (low impedance) and saturated (high impedance) injectors. Injector current control to ensure both rapid injector operation and low injector temperature. Activation input allows easy injector staging. I'm using low impedance injectors with a stock without any problems. You just can't see the problems. Low impedance injectors draw more current than high impedance injectors and will eventually overheat if the injector driver output does not limit the current. 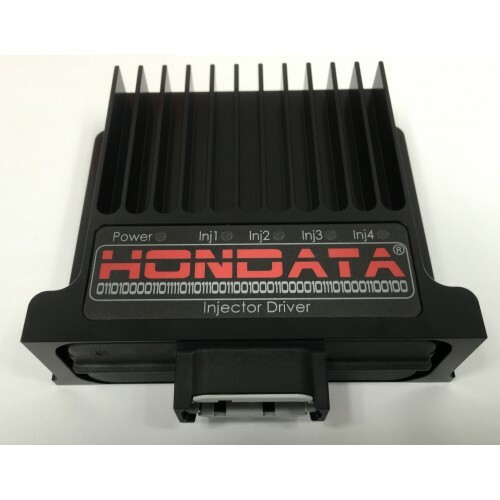 The main concern is that the ECU injector driver outputs will be damaged as they are not designed for the amount of current a low impedance injector draws. Can I run more than one set of injectors from the Injector Driver? No, because the way the Injector Driver controls current through the injectors will result in poor injector performance. You need to use one injector driver per set of injectors. Can I chain multiple injector drivers to control more than two sets of injectors? Yes. The activation input may be shared.